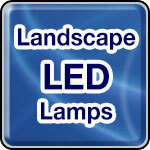 LitespanLED® Wedge Lamps are direct replacement for G4 and G9 wedge base lamps. Featuring 70% less energy usage and a 24x longer lifetime than standard incandescent bulbs, they are available in a variety of color temperatures and offer a 200° multi-directional beam angle. Ideal for steps, patio and deck.